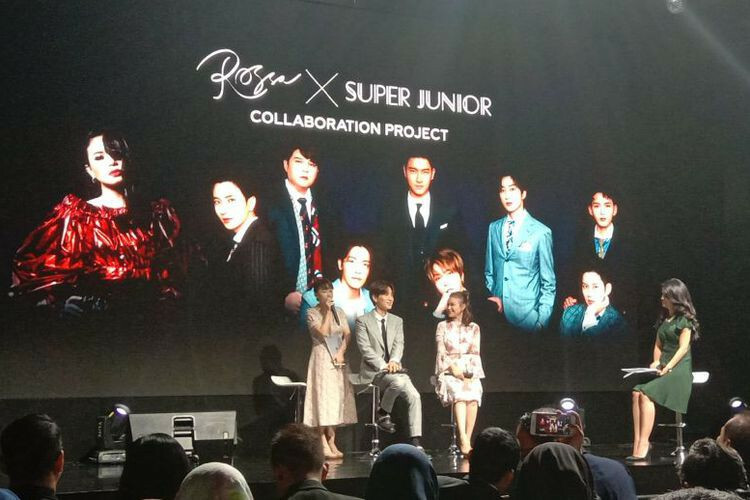 The Jakarta Post – Indonesian singer Rossa will collaborate with South Korean group Super Junior for their first project under a partnership between SM Entertainment and PT Trans Media Corpora. On Sept. 2018, PT Trans Media Corpora, part of Indonesian business tycoon Chairul Tanjung’s CT Corp., signed a memorandum of understanding (MoU) with South Korea-based SM Entertainment. Both agreed to collaborate on talent management, visual content production, event production and a mobile platform. In a press conference in Jakarta on Thursday, Chairul said that one of the purposes of the collaboration was to expose Indonesian artists to the world. Rossa is the first Indonesian singer to join SM Entertainment. According to kompas.com, the two companies aim to develop local talent with international quality. SM Entertainment as one of the biggest agencies in South Korea is expected to provide insight on talent management, casting, training and marketing. “We hope that with this partnership Indonesia can follow suit,” Chairul said. Rossa and Super Junior will team up for a new single, with details yet to be revealed. “I cannot wait to see what kind of collaboration we will have,” Rossa said on the same occasion. “Honestly, I am also nervous.” The singer has released 17 studio albums and is known for her strong voice and love ballads. Super Junior’s Leeteuk said he admired Rossa.